Tiger Roll’s triumph in the Grand National effectively signalled the end of the National Hunt campaign, with the focus of horse racing now shifting towards the flat season. There are a number quality competitors that will be striving to make a name for themselves over the course of the next sixth months. Enable proved to be the class of the flat season, winning six of the major events, including Prix de l’Arc de Triomphe and the King George VI and Queen Elizabeth Stakes. We’ll now break down five of the top horses that will be aiming to enjoy a semblance of the success that Enable achieved last season. The Japanese horse has a strong chance to dominate the early stages of the season, with his sights set on the 2,000 Guineas and The Derby. Aidan O’Brien’s charge has known nothing other than victory in his career, although that will be put to the test in the 2018 campaign. 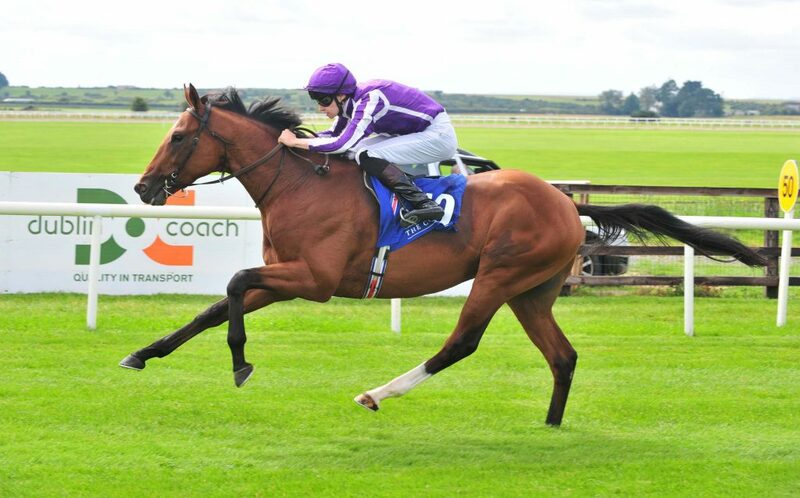 Saxon Warrior made an impact on his debut in the Irish Times Irish EBF at Curragh. He was considered an outside candidate for the victory, but made his charge down the final furlong. Saxon Warrior claimed the win by three-and-a-quarter lengths over Meagher’s Flag, highlighting his potential in the one-mile event. He built on his performance with a confident run at the Juddmonte Beresford Stakes. With Ryan Moore in the saddle, the bay colt was assertive from the off and delivered a comfortable victory ahead of stable-mate Delano Roosevelt at Naas. The biggest test of his credentials came at the Racing Post Trophy Stakes in Doncaster. Saxon Warrior duelled it out against Roaring Lion down the final furlong and he had just enough of an edge the win by a neck. 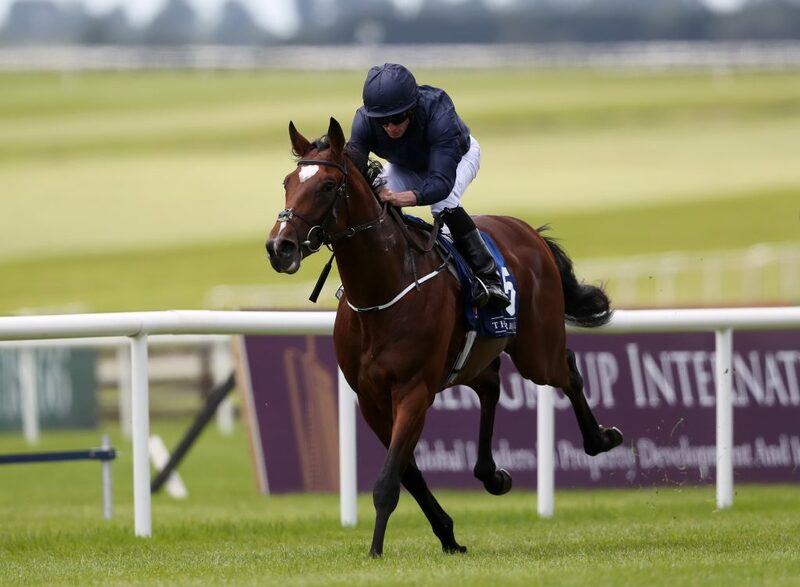 The 2,000 Guineas will signal how much O’Brien’s charge can accomplish this term. Another fierce competitor from the yard of O’Brien could make a charge this term. The bay filly impressed last season, reeling off three victories in her seven races. Happily seemed overwhelmed by her first outing at the Irish Stallion Farms EBF Fillies Maiden, finishing down in seventh place at Leopardstown as her stablemate September dominated to claim the win. However, the Irish horse bounced back to secure the first win of her career at the Irish European Breeders Fund Fillies Maiden, delivering a polished performance to triumph by one-and-three-quarter lengths. O’Brien’s charge continued to dominate the filly field, clinching victory at the Jockey Club of Turkey Silver Flash Stakes by five lengths. Her stablemate Magical was to end her winning run at the Debutante Stakes, with the Irish horse for once struggling for pace in the closing stages. Happily bested her compatriot in their next outing, edging out Magical by a short head. She continued to shine at the end of the campaign with a win at Chantilly. However, the bay filly’s trip overseas to America for the Breeders’ Cup Juvenile Fillies Turf ended in disappointment, finishing off the pace. With Clemmie likely sidelined for the 1,000 Guineas, Happily is the leading contender for the crown. The bay colt is another contender for the 2,000 Guineas and another horse out of the O’Brien stable. Gustav Klimt did not enjoy the strongest starts to his career last season, but has grown into a quality runner and may have the edge over his stablemates at Newmarket. 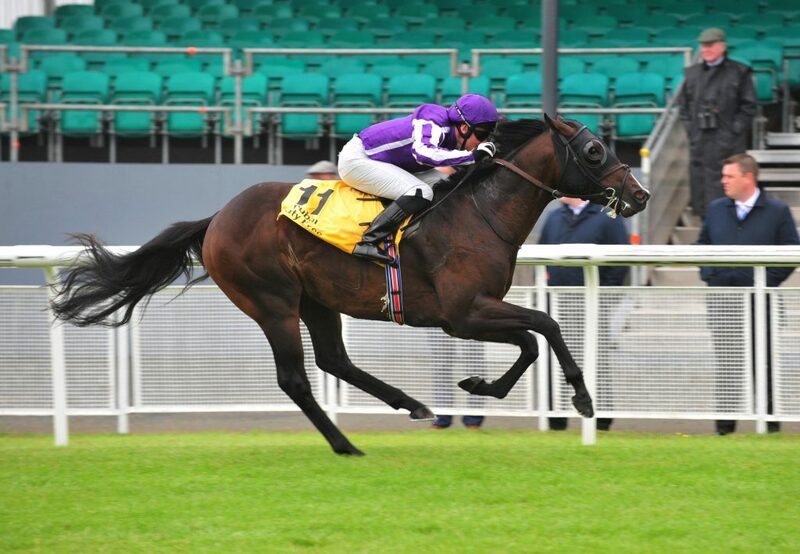 He was considered one of the leading contenders for victory on his debut at the Tally Ho Stud Irish EBF Maiden. However, the Irish horse finished well off the pace in fifth place as Commander Grigio secured the win at Curragh. He responded in his next outing in the Barronstown Stud Irish European Breeders Fund, with Ryan Moore in the saddle, beating out Would Be King by one-and-three-quarter lengths. The bay colt had to be at his best in his next outing to secure the win Superlative Stakes. His compatriot Nebo battled him all the way down the stretch, but Gustav Klimt held out to secure the win by a head. He proved his quality at the start of the term, signalling a surge for the 2,000 Guineas with a victory at Leopardstown. O’Brien’s charge had the pace to triumph at the 2,000 Guineas Trial Stakes, heading into the main event in prime form. The winner of the Champion Stakes at Ascot last season will return to the track in the bid for further success this time around. John Gosden’s charge was on form from the off as he secured a victory at The Derby Trial at the Epsom Downs. It was an extremely tight contest as he closed down Periman down the final furlong and had just enough to win by a short head. However, in the showdown at the main event, he lost out in a battle down the stretch, with Wings of Eagles claiming the win ahead of Cliffs of Moher as Cracksman finished in third. The bay colt issued a response with Pat Smullen in the saddle, although he was beaten out once again by a close margin at the Irish Derby. He returned to winning ways with a dominant performance at the Great Voltigeur Stakes as Frankie Dettori guided the horse to the triumph by six lengths. A trip overseas to Chantilly continued to produce results as he claimed victory in the Niel Group 2 Stakes. Gosden’s charge faced a talented field in the Champion Stakes, but he rose to the occasion spectacularly, dominating the race to win by seven lengths. Cracksman is one to watch throughout the term, especially the Prince Of Wales’ Stakes. A final one out of the stable of O’Brien, who may compete on two fronts, although his best event this term could be the Commonwealth Cup. The American horse had a poor start to his career as he was off the pace in his debut at the Irish Stallion Farms EBF Race in Curragh. That would be the theme of his early-season form, heading into Royal Ascot. He competed in the Coventry Stakes, but Seamie Heffernan could not get a performance out of the bay colt, who finished in 14th place. The disappointment would be a turning point as US Navy Flag delivered his first win at the Irish European Breeders Fund Maiden, defeating Dawn Delivers by three-and-a-half lengths. He was competitive in his next two outings at Newmarket and Curragh, but lacked the speed down the stretch to add to his win total. However, he found his peak form once again at the Plusvital Round Tower Stakes, delivering a comfortable victory by six lengths. US Navy Flag ended the season on a high note with two further impressive wins at the Juddmonte Middle Park Stakes, where he was an outside candidate for the crown, and the Darley Dewhurst Stakes. His first outing of the term at the 2,000 Guineas Trial Stakes proved that his best event could be the six-furlong event as he struggled at seven, finishing last at Leopardstown. His progress will be worth monitoring throughout the season.